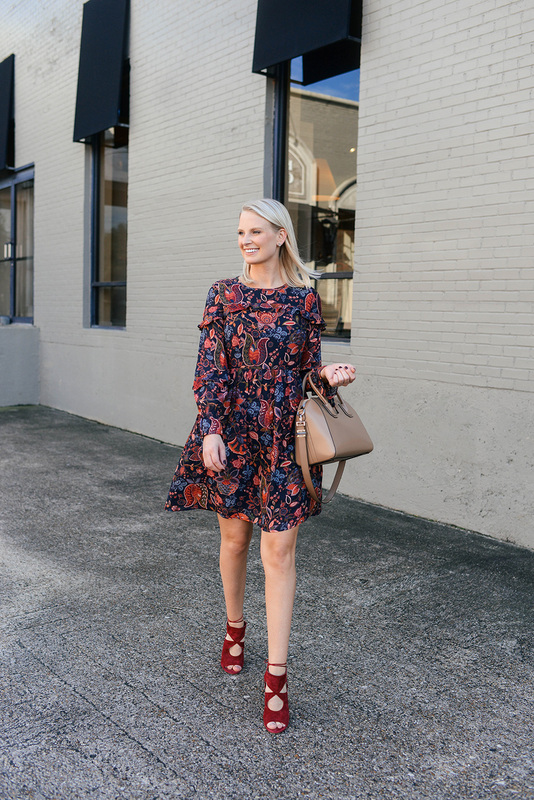 If you’re on the hunt for fall style you can wear to work, church or play, definitely check out what LOFT’s got going on this season. This is NOT a sponsored post, I just scored some really great stuff on a whim a couple weeks back! They have some really freaking cute things at the moment. As I mentioned in Wednesday’s post, I found this beautiful ruffle cuff sweater that I know will be a wonderful everyday basic. The shirt-sweater combo gives it a unique and elevated touch that sets it apart from the other knits in my closet. The next item I was super excited to find was this bold paisley number! The hem is pretty modest, making it ideal for the office, Sunday style this fall/winter and other occasions where you might want to be a bit more covered up. The long sleeves are also a great addition, especially for the cooler months! There’s a subtle ruffle detail along the chest and sleeves too, which you know I’m such a sucker for. 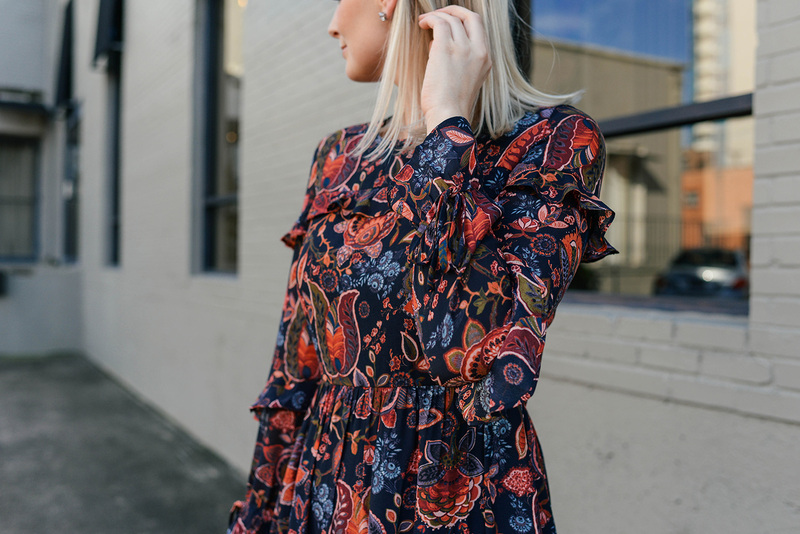 Also, this dress is now on sale for under $70 – why wait? I’m wearing a size four here, and feel like I could’ve gone down a size as the waist is not tight at all. Definitely size down!! This dahlia dress features a similar color scheme to my dress, but in more of a simple silhouette. Perfect for work! I love throwing in unexpected colors to the mix this time of year, especially with all of the neutrals I usually wear! This velvet puffer vest would be just the ticket! In addition to the sweater and dress, I also picked up this aviator jacket. It’s so cute in person! Off-the-shoulder sweaters are sort of my go-to when grabbing dinner on the weekends when it’s super chilly. They just look a touch more elevated than a turtleneck, don’t you think? On the hunt for a faux fur vest? Look no further than right here. She’s a beaut, and she’s reversible! This blouson sleeve dress looks like the ideal work wardrobe essential. I don’t go to an office, but I want it!